December 31st News - Happy New Year! We hope that you are enjoying a wonderful holiday season. Thanks for all you have contributed to improving access to local food in our communities! 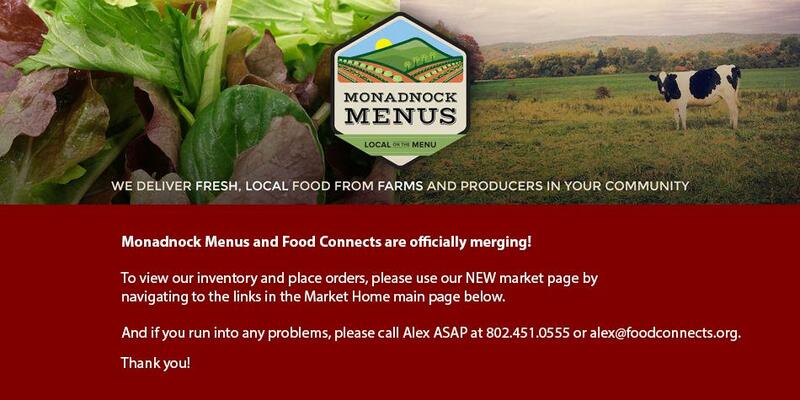 We look forward to working with you in 2015 to grow Monadnock Menus. Save the date(s) for our Annual Meeting in late January. We are just finalizing the date and location for our Annual Meeting and will let you know ASAP. It is likely to be held either Wednesday 21st or 28th January, from 10:00 am - 12:00 pm. Check your inbox in the New Year for confirmation! We have plenty of amazing produce that should be available through much of the winter: apples, carrots, cabbage, celeriac, butternut squash, sweet potatoes, potatoes, rutabagas, onions, parsnips, turnips, herbs, and fresh greens! We also have delicious bread, bagels, yogurt, pudding, cheese, maple syrup, granola, and local meat. **BUYERS: We have the ability to source some 10 lb boxes of frozen NH blueberries (from Pittsfield, NH) at ~$5.00/lb. We need to generate enough volume to make it viable. Please let me know if you might be interested. January Harvest of the Month is Parsnips! Check out the website for some great recipes and free educational materials for your cafeteria or shop. 2015 Harvest of the Month Calendars are available for purchase. Thanks for your support throughout 2014! Have a Happy & Healthy 2015!